In today’s guest post, learn about some of the enduring home furnishing designs from some of the world’s design greats. Hopefully, they will give you a bit of inspiration for your own home! Living rooms are the focal point of any house – great for relaxing as well as entertaining friends – so it is vital that your living room works for your needs. Whether you are looking for a vintage style decor scheme, an industrial aesthetic or a sleek, modern feel, these design ideas will definitely get your creative juices flowing. A piece of statement furniture is a great way to create a focal point in your living space, bringing together your decor scheme and creating harmony in your living space. 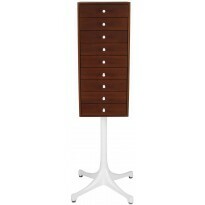 Designer furniture is a great way to inject some style into your home. 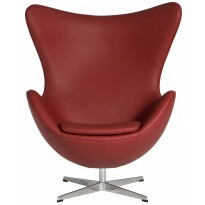 For quirky interiors, Arne Jacobsen’s Egg Chair is a fantastic choice. Originally designed in 1958, this stunning chair is not only comfortable but is highly durable. 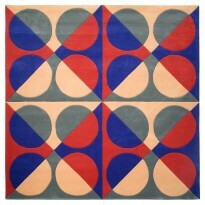 A Rug is a great way to pull your design scheme together, adding a new, stylish dimension to your living room. They will also some warmth and comfort to your living space, making it more inviting to be in. When choosing a rug, you want to get the balance of pattern and colour right to complement to your decor scheme. For a modern interior, choose geometric patterns to inject some interest into the room. Coveted Danish Designer, Verner Panton created a stunning collection of rugs during his career, featuring exciting designs, vibrant colours and organic geometry. Storage doesn’t have to be mundane and boring. In fact, you can find exciting storage solutions which can actually become a feature of your design scheme. George Nelson created a number of inspiring pieces during his lifetime. His Vertical Sideboard, made from the finest materials will be a sleek and polished addition to any home. What’s also great is that it doesn’t take up too much room, so it’s perfect if you are short on space. If you are looking for a stylish alternative to harsh, overhead lighting then a floor lamp is the way to go. With a variety of designs to suit all decorating schemes, these lamps are a unique blend of stunning aesthetics with practical design features. Whether you are looking for adjustable arms, an overarching design or handmade shades, invest in a floor lamp to create a cozy and visually appealing living space. 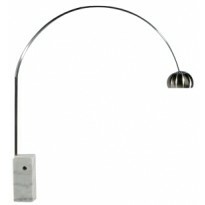 One of the most enduring floor lamp designs is the Arco Lamp by Achille Castiglioni. This piece has a large hanging lamp with a sturdy, stainless steel stem – perfect for creating subtle, ambient lighting. This lamp is versatile, functional and stylish which is why it has stood the test of time and is still being faithfully reproduced 50 years after it was created. The furnishings featured in this article have endured for a reason. They are classic designs, well-executed and well-made, and they work in a variety of homes. All images in this article are courtesy of SwivelUK. Rebecca Jones is an interior design fanatic who frequently writes about her interests and findings. Guest Post: Modern, Natural Or Mooky – What’s Your Living Room Style?